The great thing about actors and actresses is that they often aren't tied down to one genre of movie that they perform in. It's always amazing to see our favorites act in different kinds of movies. While this is a list that I made of my favorite actors in the fantasy/adventure/action genre, many of these men have acted in many other different kinds of films. Below I will be listing my top five as well as some of their most famous movies which aren't all fantasy/adventure films. While Ian McKellen isn't in a ton of well-known movies, there are two biggies that he makes a strong appearance in. 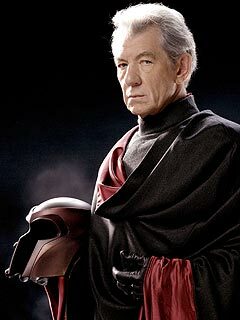 First I think everyone would agree that his most famous role is that of Gandalf in The Lord of the Rings and Hobbit movies, and then in X-Men as the notorious villain, Magneto. Other than these two movies he mostly does theatre work as an actor on the live stage. He was born in 1939 in England. He is an avid gay rights activist and has no children. His interest in the stage has taken dominance over his career, but most people would agree that his roles in both the Lord of the Rings and X-Men were extremely successful, leading him to be on this list of best fantasy flick actors. Oh, the beloved Gandalf! 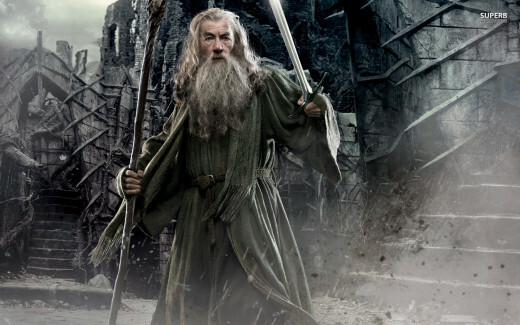 Starting out as Gandalf the Grey in The Hobbit and The Fellowship of the Ring, McKellen makes a dashing entrance into these fantasy movies. 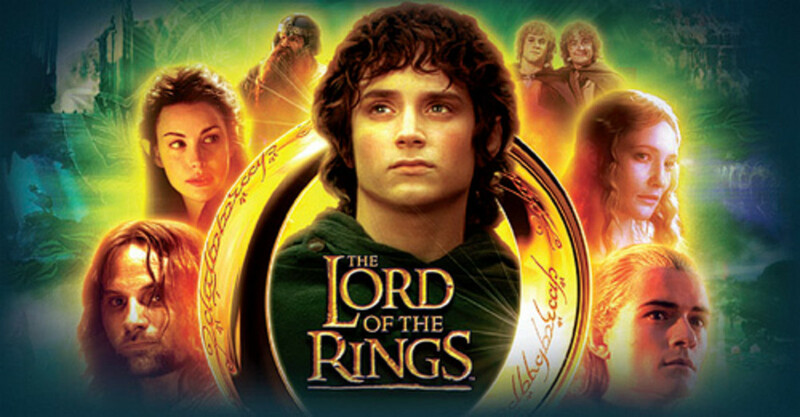 He begins as a guide to the story and begins the journey to destroy the ring. In the later movies he transforms into Gandalf the White and has greater powers than before. As one of the heroes, he fights battles, exorcises Saruman from King Theoden and is the go-to guy when anyone needs help. He always knows what to say and what to do in any situation. Overall, Gandalf is one of the most well-known characters from the Lord of the Rings movies and I believe that McKellen can be the one to thank for that. Magneto. Though he's supposed to be the bad guy in these films, at points the viewers find themselves sympathizing with him. Aren't his intentions good? He just wants the mutants to be able to live without discrimination. Of course he tries to dominate the human race through the mutants, believing that they are an outdated product of evolution. Maybe if humans weren't such jerks to the mutants he wouldn't have to be the bad guy, but nevertheless he is. He has the amazing ability to control and generate magnetic fields, so basically anything metal is within his power. Throughout the films McKellen does a magnificent job of portraying this well-known villain of the X-Men movies. 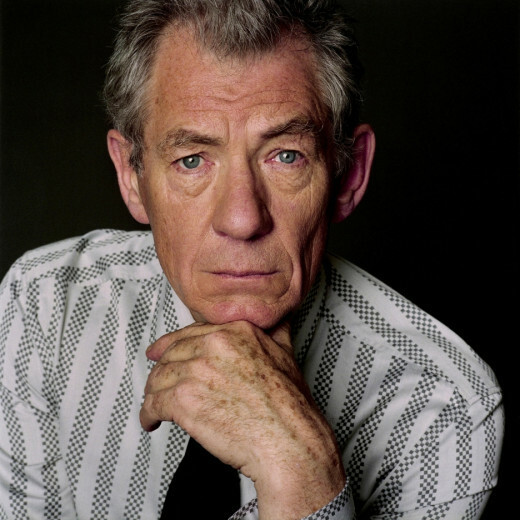 Which character that Ian McKellen portrays is your favorite? 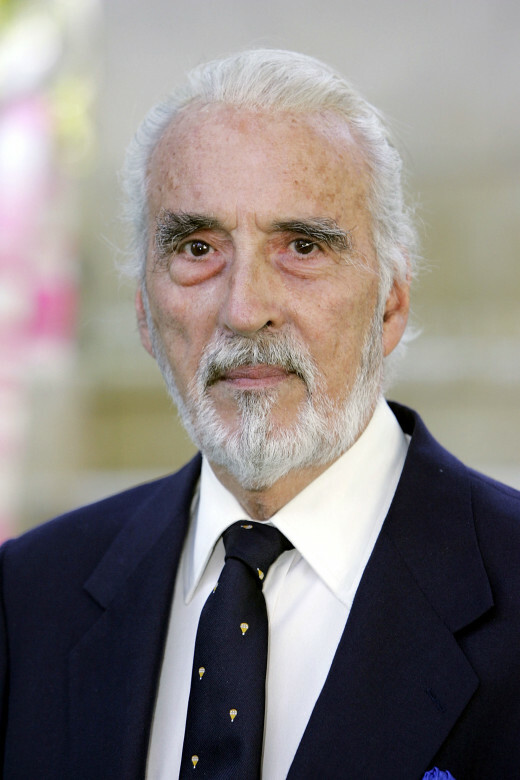 Sir Christopher Frank Carandini Lee is his full name and he has had a wonderful impact on the film industry during his lifetime. He was born in 1922 in England and died there in 2015. Lee went to both Eton College and Wellington College. While there he intently studied both Greek and Latin. During World War II, he also served in the Royal Air Force and Special Forces and was recognized for his distinguished services. During his lifetime he was married to Birgit Kroencke. He had one daughter named Christina. As awesome as this is, Lee was actually knighted by the queen of England at Buckingham Palace for his work in drama and his services involving charity. Although many people don't know this fun little fact about Lee, he also was interested in music and pursued rock opera and metal. His two symphonic metal albums were called “Charlemagne: By the Sword and the Cross” and “Charlemagne: The Omens of Death”. Major films Lee was involved in were mostly fantasy, adventure, action and horror films. His influence spans across decades and ended with his most recent role as Saruman in the final Hobbit film. The Curse of Frankenstein was the first Hammer Horror film that Lee was involved in and got him start with Horror Hammer films. He played the part of the monster. Later on he would gain the role of Count Dracula where he found himself longing to be able to portray the vampire as Bram Stoker did in his novel Dracula. The series was a success despite Lee's idea that the directors weren't going by Stoker's version of the story. Though these aren't exactly what you'd call fantasy/adventure films, it got Lee started in the acting business where he went on to become one of the leading male actors in later films. As the ninth movie in the James Bond series it stars Roger Moore as the famous James Bond. 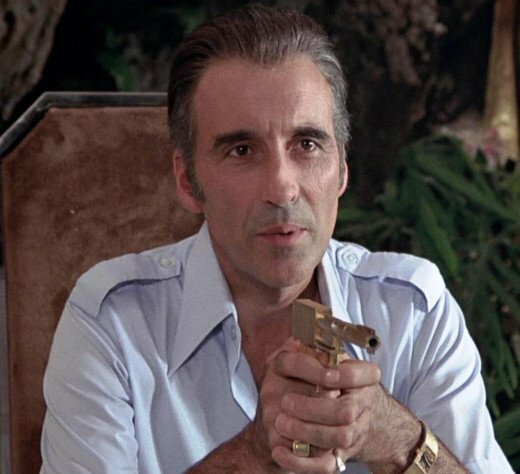 Christopher Lee plays the part of Francisco Scaramanga in this movie. Scaramanga is a villain in The Man with the Golden Sun. Are we starting to see a trend? Lee seems to fit the role of the villain in most films he participates in. Within the Star Wars universe there are the Jedi and the Sith. 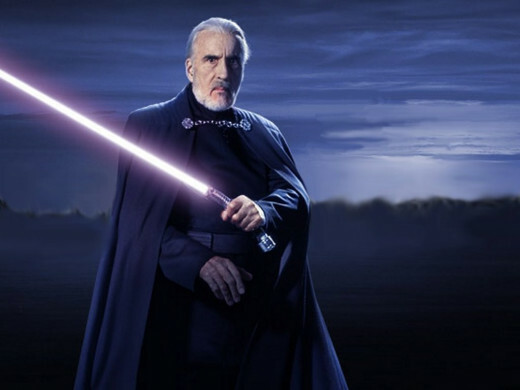 Lee's character, Count Dooku starts out as a Jedi but by the time we view him in the films he has already turned to the dark side and joined up with Darth Sidious and the Sith. I still remember the moment when I was watching Star Wars: Revenge of the Sith in the theater and I realized that Count Dooku was also the same actor who played Saruman in The Lord of the Rings, one of my all time favorite movies. For some reason I just love actors who play multiple roles in my favorite films. Seeing him fight Anakin Skywalker and get beheaded was incredible. What an awesome villain he was and he was even better in the Lord of the Rings. 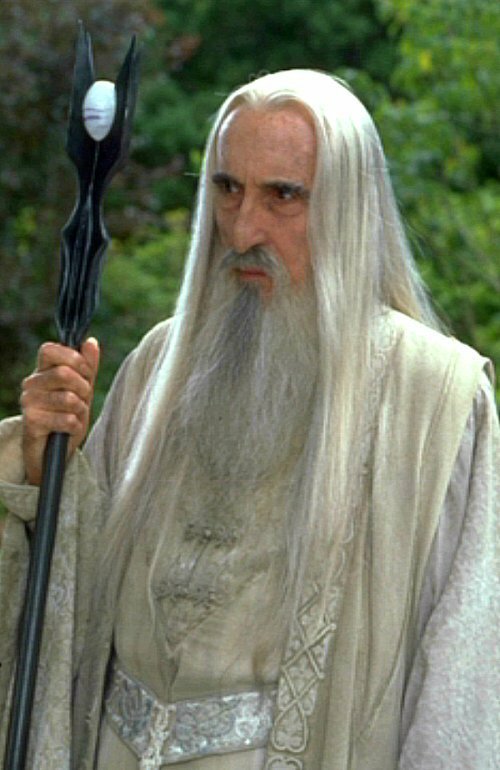 In The Lord of the Rings trilogy Christopher Lee plays the villain, Saruman the White. He is the head of the Wizards and is Gandalf's superior. In the beginning viewers think that Saruman is one of the good guys. 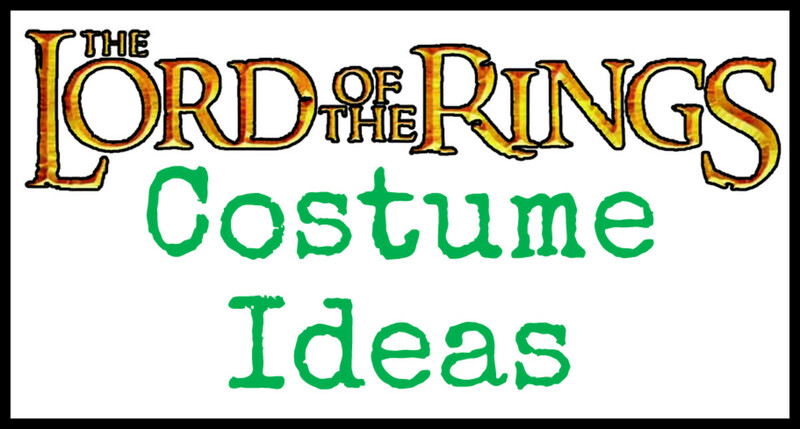 If Gandalf is depending on him to help with the whole ring situation then he must be decent right? WRONG! Turns out Saruman has teamed up with Sauron, the evil dark lord who is trying to take over Middle-Earth by obtaining the one powerful ring. Sauruman fights and then captures Gandalf, only to have Gandalf escape from his clutches. He ends up being defeated when Merry and Pippin rally the Ents and they destroy Isengard. In the extended version of The Two Towers, Lee's character gets killed by falling from the top of Orthanc and being impaled. The history of Lee as a villain will always be remembered by film lovers all over the world. 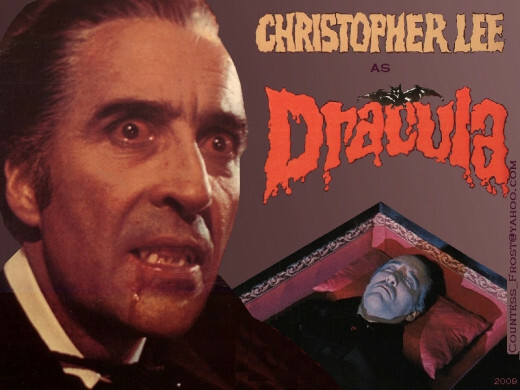 Which character that Christopher Lee portrays do you like best? Johnny Depp is one of the most beloved actors of our time because he plays the charming character, Captain Jack Sparrow. Of course Depp is in many other films and is a popular icon of the 21st Century. Not only is he an actor but he is a director as well. He was born in 1965. In 1983 he married Lori Allison but they soon separated. He currently has no children and has taken many dark roles as well as comic roles. He closely works with Tim Burton and is in many of his films such as Edward Scissorhands, Sleepy Hollow, Sweeney Todd, Charlie and the Chocolate Factory, Alice in Wonderland, and Dark Shadows to name a few. The influence of Johnny Depp in film is immense as he has played many different types of roles throughout his career. 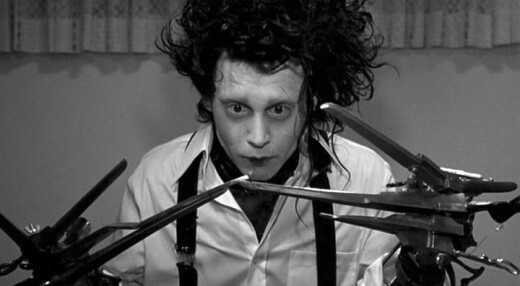 This film shows Johnny Depp as the main character, Edward Scissorhands who is an odd guy with scissors instead of hands. It is yet another film where Burton and Depp both partner up. Edward is an extremely talented hair dresser and hedge cutter who impresses his neighbors with his skills. Within this film Johnny Depp shows his unique acting skills in a dark and strange character. Almost everyone should know about Willy Wonka and his famous chocolate factory filled with Oompa Loompas as workers. 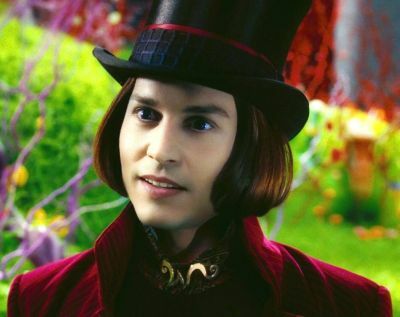 In this film, Johnny Depp is the well-known character, Willy Wonka. Yet again showing off his knack for playing odd roles, Depp portrays Wonka almost perfectly adding a creepy, strange and fantastic element to the character. In this dark and gloomy horror musical, Johnny Depp shows off his truly incredible singing skills. Basically the whole movie is song after song with bits of conversation in between. Mastering this gothic role, Depp yet again worked with Tim Burton to put out an amazing film. Throughout the film, Sweeney Todd is trying to avenge the loss of his wife and daughter after he was unjustly sent to prison. Thinking that his wife is dead, he sets out to get his daughter back, who has been taken in by the judge. This is also the same judge who sent him to prison for a crime he did not commit. Depp's character starts out being hopeful to reunite with his family after being liberated from prison. After he hears that his wife is dead and his daughter is with the man who sent him away he becomes a barber and murders people. If you're looking for gory slasher scenes, revenge, cannibalism and catchy tunes this is the film for you! 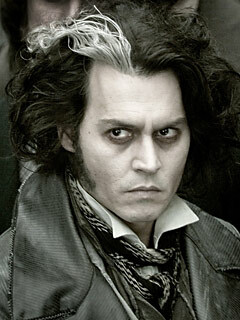 Depp brought so much to the character of Sweeney Todd. I think it's safe to say that the film wouldn't have been half as good if someone else would have played that part. Of course Pirates of the Caribbean has to be at least mentioned in regards to Johnny Depp's career. 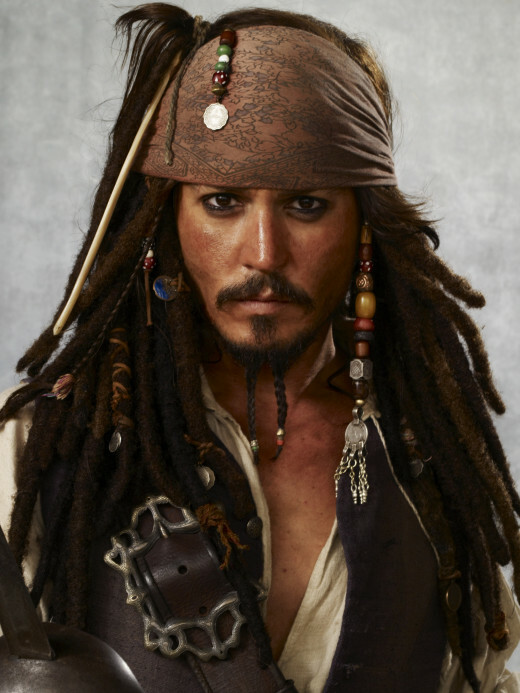 No doubt that Jack Sparrow is his most famous role ever. The films as a whole are extremely interesting and filled with adventure. Add Depp's humor and unique personality to one of the main characters and you have an unforgettable movie series. Pirates of the Caribbean is full of ghost pirates, corrupt government leaders, romance, comedy, intense battles at sea and of course mythical creatures of all sorts. Depp acts alongside other big stars such as Orlando Bloom and Kiera Knightly in this epic adventure flick that is likely to be a big hit for years to come. Which character that Johnny Depp portrays do you like best? Hugh Jackman was born in Australia in 1968. He is married to Deborra-Lee Furness and has two adopted children. Along with being named the sexiest man alive in 2008, he is also an excellent actor and a well-known producer. He is the most well-known for his role as Wolverine in the X-Men series but also shows some musical talent in the film Les Miserables. Besides his incredible good looks and charm, Jackman has true talent. Playing characters that show great emotion, it is amazing that he can make it seem so real. When I'm watching Jackman on the screen I'm not wondering how many takes he had to do before the scene was perfect, or if those tears in his eyes are real. I find myself forgetting that it's just a movie. 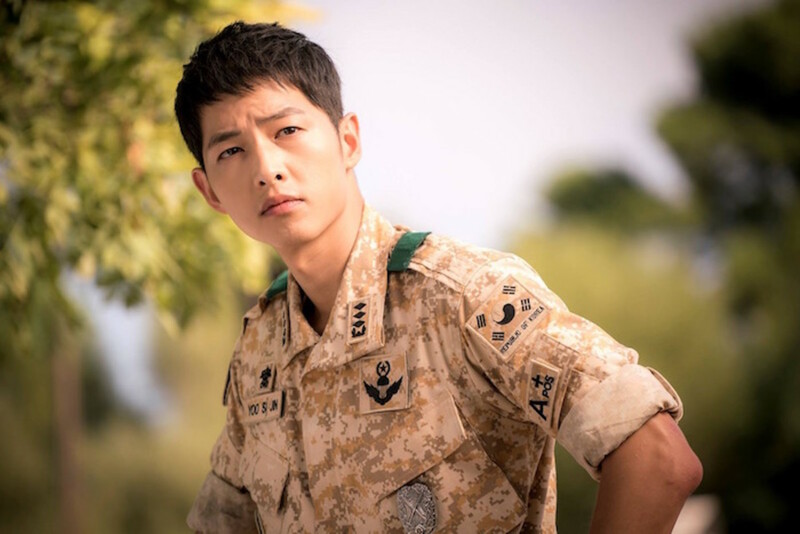 His intense acting skills in numerous roles has landed him on this list of top 5 best actors. 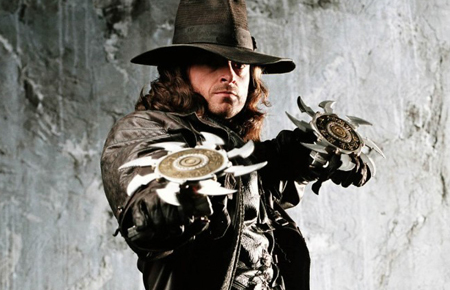 in this movie Hugh Jackman plays the character, Van Helsing. He is a man who hunts evil monsters and kills them. As the movie progresses we learn that Van Helsing has a job to find Dracula and kill him before he wipes out the Valerious family. This movie has Frankenstein's monster, werewolves, voluptuous female vampires, Dracula, epic fights and of course the handsome Hugh Jackman being the hero. What more could you want from a movie? In this film Jackman plays the role of a 19th century magician who competes with fellow illusionist Alfred Borden to be the best. This movie is filled with mystery and suspense as these two men go head to head in order to beat each other in this contest that they have among themselves. This film adaptation of the novel by Victor Hugo is purely a musical. Almost every line in the movie is sung. Hugh Jackman partners with many other celebrities such as Anne Hathaway, Russell Crowe, Amanda Seyfried, Helena Bonham Carter and many others in order to perform this wonderful musical. Many are surprised to hear Jackman sing in this film. 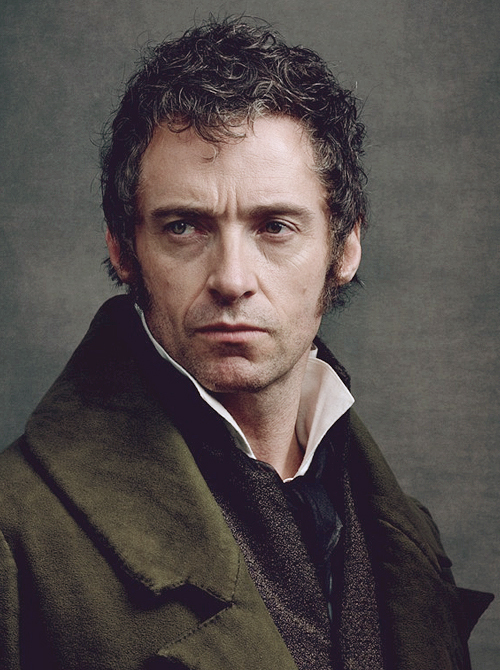 He's usually just seen as the intense Wolverine, but in Les Miserables his acting and singing abilities truly shine. We get to see his raw emotion and pure acting skills in this musical. This epic series of films based on the comic books is what Hugh Jackman is most known for. He plays the character of a man who has an incredible ability. He has razor sharp blades that come out of his hands and superhuman strength, oh and not to mention he never ages or dies. 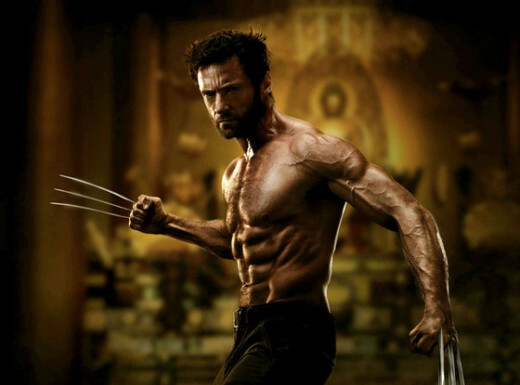 In both X-Men and the Wolverine movies Jackman's abilities as an adventure and action actor shine through. This tough warrior has great looks, a warm smile (when he chooses) and can always save the day. What else do you need in a hero? 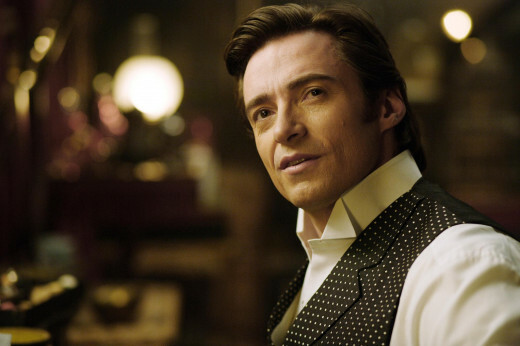 Which character that Hugh Jackman portrays do you like best? 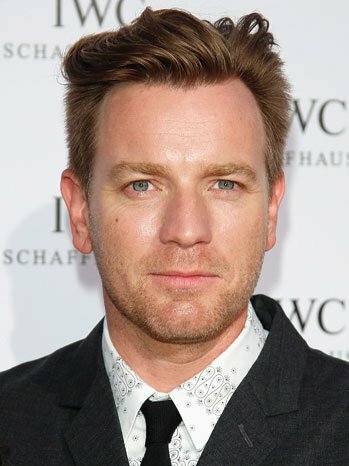 Ewan McGregor was born in 1981 in The United Kingdom. He is married to Eve Mavrakis and has four children where they currently reside in California. 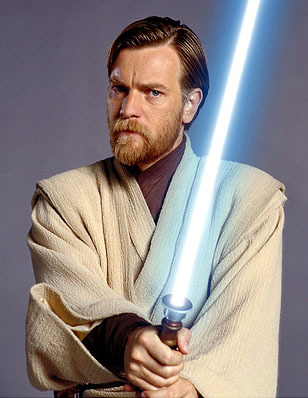 He is a Scottish actor who is mostly known for his role in the Star Wars Prequels as Obi-Wan Kenobi. Like McKellen, McGregor is also heavily involved in theatre, though he is in many more movies. Though he is in many different types of films, many not being of the fantasy genre, his acting abilities allow him to show off all of his abilities. For example, he is an excellent singer and gets to show that off in Moulin Rouge with Nicole Kidman. Overall, McGregor is a multi-talented actor who can do basically anything. Playing the part of Christian, a writer who falls in love with the beautiful courtesan, Satine. Though she is already engaged to another man, they share an intense love affair as he writes the musical that she is the star in. 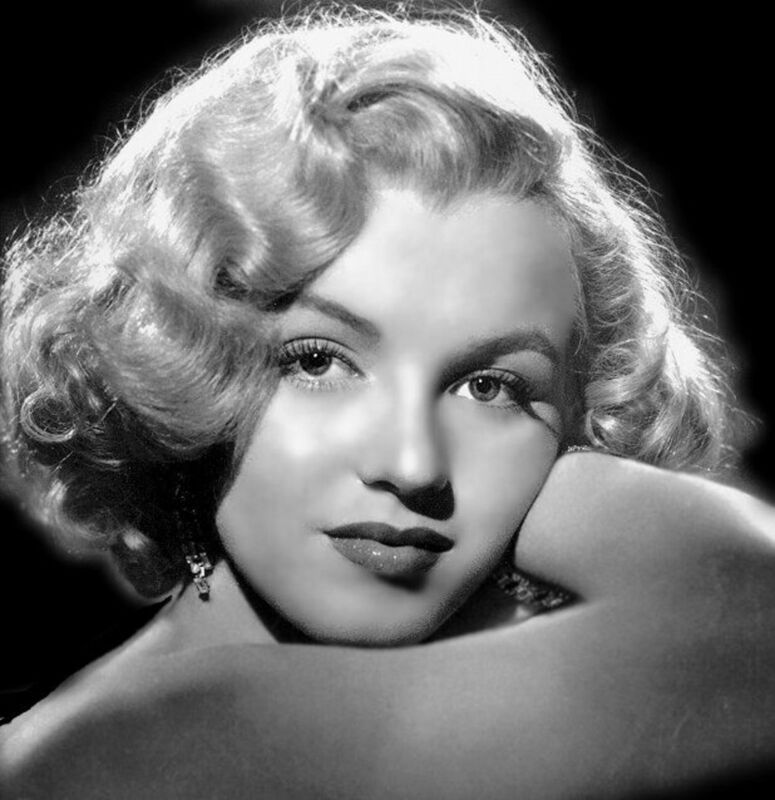 This movie features the Bohemian movement, altered hit songs, romance, and comedy. As mentioned before, McGregor shows off his beautiful singing voice in this exciting musical. With intense light saber fights, dramatic battle scenes and a loyalty to the Jedi like no other, what's not to love about Obi-Wan Kenobi? Not only is he wonderful in the light saber scenes where he practiced long and hard on his sword fighting skills with co-star Hayden Christiansen, but his acting is great too. He takes the role of Obi-Wan very seriously and makes you believe it. Throughout Star Wars, McGregor shows audiences that true Jedi are heroic, selfless but also very human. In this action-packed movie, McGregor plays the character called Lincoln Six Echo. He technically is a clone of a very rich man. He is kept with other clones in a facility where they are told that the Earth is inhabitable and that there is a small place called the Island where they can go if they are lucky enough to win the lottery. McGregor shows off his action skills in this movie as he escapes the facility and learns about his identity as a clone. Alongside actor Tom Hanks in this thriller is the one and only Ewan McGregor. This movie has so much packed into it: the Illuminati, the Vatican, conspiracies and mysteries. 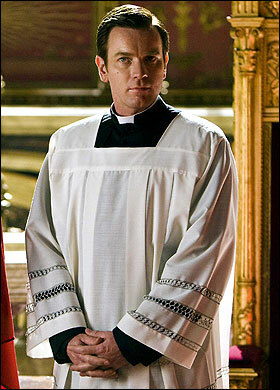 Mcgregor plays the part of the Camerlengo Patrick McKenna who takes temporary control over the Vatican after the current pope dies suddenly. His acting skills are definitely up to par with his previous movies and shows a slightly different side to him. 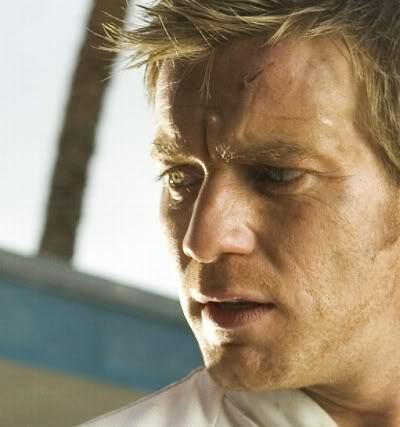 Which character that Ewan Mcgregor portrays do you like best? Have a favorite fantasy actor who wasn't listed? If you feel frustrated that one of your favorite fantasy/adventure film actors was not listed here, feel free to comment below. I'd love to see what actors everyone else thinks are awesome. Also I do not claim to own any of the pictures or videos. They belong to their respective owners, not me.